Life is like music; it must be composed by ear, feeling, and instinct, not by rule. My earliest memories of Onam is of “pulikkali” .Those beats !! I was very afraid of them. Appa had tried everything possible to make me understand they were humans behind their masks. But I would not listen! Then finally when they came to our house he asked one of the ‘puli ’ (tiger ) to take off its mask and gave it to me. Even then I was not convinced. Up to Uthradom( the day before Onam) we would be at Alleppey ( My mother’s place) celebrating our holidays . My Grand mother would be waiting with all sorts of chips and ‘unniappom’ and pakkodas and ‘sarkara varatti’…. the list is endless. Have you ever tried gobbling chips and sarkkara varatti and murukku before brushing your teeth? Then you should sure try it this time. We would arrange our Aunty to put the ” pookkalam” (flower carpet ) for us till the exams are over and we could get there. It is a belief that “pookkalam” should be arranged from ‘Atham’ to ‘Uthradom’ without break. By the time we reach Haripad ( my father’s place) it would be brimming with celebrations. One thing I remember vividly is the bus journey from Alleppey to Haripad. Unlike the city area every house there will have “pookkalam” in their front yard. I used to enjoy immensely the variety of designs. It is a real treat for the eyes . The designs are typical for each place. Beautiful combinations with shoe flowers, mandaram, thumba, mukkutti , sanku pushpam , krishna kireedom , kongini poo and other flowers that bloom in the neighbourhood during Onam. Buying flowers for arranging flower carpet was unheard of . Haripad then had the serene beauty which I think every village in Kerala possessed. Ponds , green fields , coconut yards , canals , people busy with work , the smell of hay . No words can explain the beauty of nature during Onam . There would be flowers every where . Rose balsums and ‘thumba’ and mukkutti . The ground would look like a carpet sprinkled with every different colour. 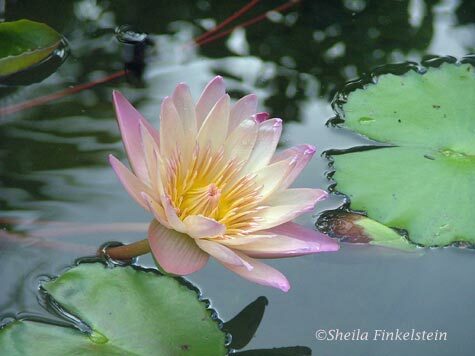 And water lilies ! They were our favourite. The sheer pleasure of plucking them from the fields is something you have to experience yourself to enjoy. I can feel my hands thrusting forward among the entangling weeds, the slippery feel in my foot among the water plants with water up to my knees, my sister holding me from behind …… a little more to go …. and those flowers would be mine….! I remember the fields with small fishes . My favourite was the the tunnel connecting the two fields with water gushing through them. Even now I can remember them only with the wonder of a six year old. Then we had those water canals every where. We would find some lame reason to go to neighbors’ houses just to walk through those canals. I remember Uthrada Pooja and other Onam programmes like tug of war at our family temple. On the day of Onam everybody would be wearing new dresses. No body would sweep their house as it is thought to offend Maveli! Mom would be busy in the kitchen . After sumptuous Onam sadya( feast) every body would gather together in the ground in front of the temple to play. There would be swings. I remember the huge swing at Bhaskaran Uncle’s House. Card games , Thalappanthu, Kilithattu………….. 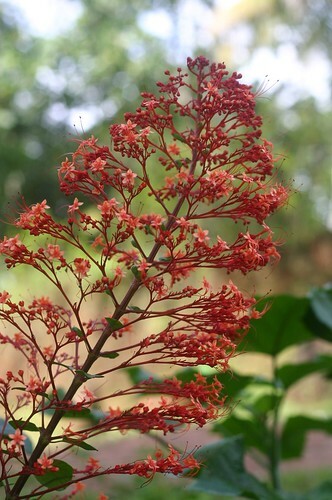 In the afternoon there would be ’ thumpithullal’. Even now I cant figure out how they do it. They shiver so vigorously, and believe me, it is not fake! After some years again back to Haripad! The fields and ponds had given way to buildings ; All our friends were gone.. Either married off… or too grown up to play with us. Then television came. Our Onam began to centre around the Onam special programmes in the TV. Flowers were not be seen any where . Just one or two glimpses of water lillys. A thermal project plant took over all those beautiful fields. The tunnel with water gushing…………. was gone for ever!! Appan took all the charm of Onam along with him. I am happy that as a child, I could enjoy the serene village Onam and the Urban Onam. My Onam memories wouldn’t be complete without the frantic shopping at DH Ground, Sugar cane Juice, Long Queues at Maveli store , Yellow Palmoil Dabbas which I used after wards for watering my plants , A green T shirt worth Rs.50 which I and sister bought for our little brother after so much bargaining . Today also children celebrate Onam . Of course they celebrate it in their own ways! Life always keep on changing and I like it. There is no point in waning how we used to celebrate . No, that is not the way ….. Follow on , join in… Enjoy the new trends! May be years after today’s kids will tell their children how they used to roam around for shopping and went to amusement parks during Onam holidays ! They may tell how they could buy Onam kits and instant meals, how they could easily buy marigolds and asters from the flower market for flower carpet competitions , how beautiful it was the during Onam when the roads were crowded with heaps and heaps of flowers for sale, how easy it was then to buy plantain leafs ! And , their kids would never understand! Their children would never be able to imagine what it was then ; .. just like our kids who cannot even imagine how we could have celebrated Onam so enthusiastically without TV and Video games. Now also everybody here make it a point that the family gather together during Onam! This entry was posted in My Kerala and tagged kerala, Maveli, Onam, pookkalam, pulikkali, swings, thumbithullal. Bookmark the permalink. so true.. the next gen is gona miss onam the way this gen celebrated.. n obviously they can never understand wat they r missin.. cos the world has chanjd n life goes on.. I am glad that you have come to visit . We are the Nath family . Busy caring father , smothering mother and two rocking kids . Please let me know from your comments when any of my post touches your heart. Thanks for stopping by. Come again and visit often. What will you read today?